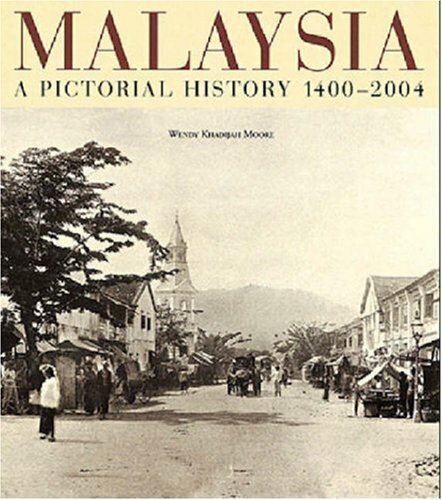 Having been a frequent visitor to Malaysia for the past 27 years, this book presents a very detailed and comprehensive pictorial history of Malaysia.Unlike many books, it divides the various states and cities into separate sections thus one can follow their progress and development as the history of Malaysia unfolds. 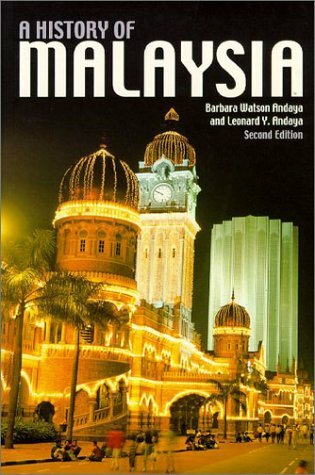 It emphasizes the important states and cities throughout various periods.Penang,as the important state during the early days and ending up with Kuala Lumpur in the late 20th century.This book captures the sound, aroma and the color of Malaysia as seen thru the hawker stalls, rubber plantations, the stately houses, and the padangs. Old pictures of Penang and its capital of Georgetown show the splendor of Beach Street, Northham Road, and the beaches that still exist for the most part today. 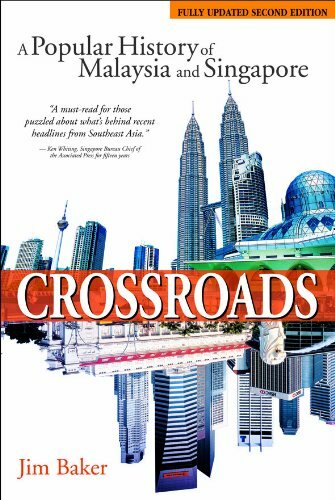 After viewing this book, the reader will come to two conclusions.The book is sufficient to feel that one has visited Malaysia or it will urge a person to visit Malaysia to pursue the aftermath of the book.This is a book that should be part of any collection about Southeast Asia. During the past decade a number of historians have carried out fundamental work on various aspects of Malaysian history. These studies reflect the priorities of a new generation of scholars, both Malaysian and Western, whose primary interest is the development of the indigenous society. A history of Malaysia which incorporates recent research is long overdue and this book is intended to fill that gap. 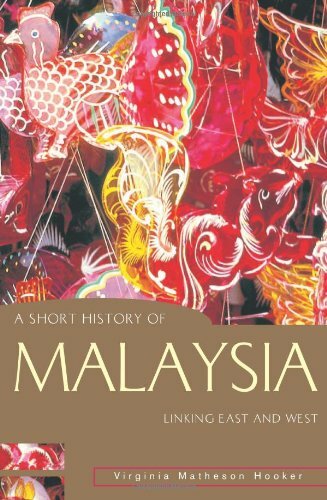 This new history of Malaysia traces events in the Malay world from early times to the twentieth century and shows how they have contributed to the formation of modern Malaysia. The complex cultural heritage of Malaysia is shown to be decisive in shaping its history. But equally important is Malaysia's strategic position on an international trade route linking China, India, and the West. 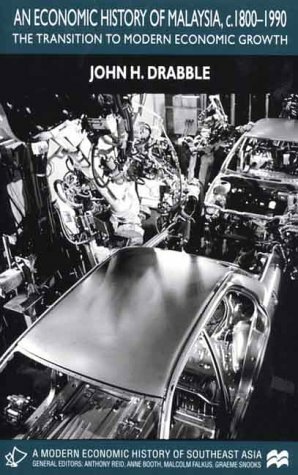 The changing world trade has been a determining factor in the growth and direction of Malaysia's political and social institutions. Alot of information that you may not care for if you really want to know about the people of Malaysia per say. I do recommend it however, if you are interested in why another part of the world withdraws from Western culture, or why Western influence is so prominent in Malaysia. This is a long boring tome on Malaysian history filled with a plethora of incomprehensible names of people and places.The minute details, instead of enlightening, cause one to find it hard not to fall asleep - much less make any sense out of what the authors are trying to relate.The 344 pages of text could have been easily reduced by 50%, thus making the book much easier to read & understand.The authors swamp the reader with so many useless insignificant details that it is almost impossible to glean any useful information from this tediously long book.Given the fact that this gobbledygook is a 2nd edition, the first having been written 20 years ago, it is hard to believe that there could have been much demand for a revised look at Malaysia's history.I had hoped to use this book in one of my university history courses on Southeast Asia.There is no way I would inflict such esoteric pedagogic claptrap on my students. I read this work in Malaysia in 1998 as a student in a Universiti Malaya graduate program through the Malaysian Armed Forces Staff College.This is a Malaysian government and academic favorite, as was very quickly made clear to me, but not for its academic depth or the purely sholarly tackling of contentioius historical issues.Quite the contrary, this book is a favorite due to its smooth, polished, there-are-never-nor-have-there-ever-been-problems approach to modern Malaysian history. This is a popular book as it is a recently published history, which implies it is full of new research.Not so.A quick study of the source references shows precious little primary resources, and a great deal of secondary sources; the book is a collection of previous histories.This is not to say it is worthless.The book is indeed an adequate, up-to-date introduction to the basic issues and facts of Malaysian history, and as such is acceptable.But what you will not find is anything even remotely controversial or unflattering about Malaysia and Malaysians, especially the country under Mahathir.The thrust of this book is that all is well in Malaysia, all has been well, and the future is rosy indeed for all.Tragic and unfortunate events are not addressed.For example, the description of the politically-driven ethnic riots of the 60s is very poorly done, with the blame for the mob murders ofhundreds of ethnic Chinese apparently being placed upon the Chinese for starting the trouble in the first place (an issue itself in doubt). 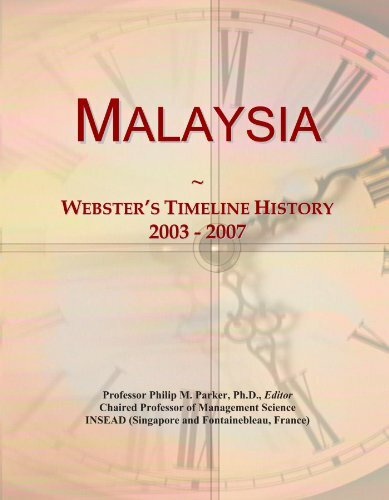 The glossing-over of controversy is fairly recognizable throughout the book, which soon enough becomes a pro-Malay bias.This eventually taints the book as a serious and balanced work of historical research, but keeps it on Malaysian bookshelves.If it were totally unbiased, direct, aggressive, and unflinching in examining and reporting Malaysian history, it would also be banned there. Based on Mr. Shamsul Akmar's editorial commentary from daily English based newspaper The Star in peninsular Malaysia, is this book really worth reading? I'm sure it is a five star book! Baker spins a tale as dizzying as it is captivating; as intoxicating as it is true.The twists just keep on coming.This is the best thing since Goosebumps. This is a wonderful book as Jim Baker knows what he is talking about as he has lived in Singapore his entire life (60-70 years).So, naturally, some of the history of Singapore he knows first-handed, as he acurately describes how the nation became a first world country.This gives the truthful and honest facts of both Singapore and Malaysia as it is a must read for anyone looking for the best info. on these two nations. 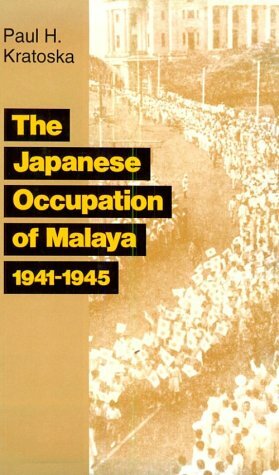 I'm not sure for whom this book is intended as it obviously will atract relatively few purchasers.It is the story of the Japanese occupation of Malaya from 1942 to 1945 from a political and economic viewpoint and its impact on the Malayan population.Military historians will find this work only of minimal value, and historians concerned with the development of Far Eastern nations will probably skip over much of the information contained within as being of only moderate value since Malaysia did not fully receive its independence until 1963. The Japanese occupation was initially brutal and repressive, but administration was carried out generally by communal organizations and pre-war administrative structures.About 60% of the population was Malay, 30% Chinese and the remainder Indian, mostly Tamil.Most of the population collaborated with the Japanese, generally out of necessity, and the Japanese occupation was seen as a time simply for survival.The Japanese were often inept and introduced measures that alienated the population, and as the natural resources far exceeded Japan's use for those resources, the termination of trade that Malaya had been dependent upon before the war caused severe economic difficulties.Although the Japanese ocupying forces were able to maintain order, Malaya was not self-sufficient and suffered increasing shortages of food and basic goods.The problem of self-sufficiency was intractable, and high unemployment, inflation, and a raging black market resulted.By 1945, the situation for the Malaya population was grim. This work is based on relatively sparce source materials, first because the British destroyed most records when evacuating in 1941 and 1942, secondly the Japanese destroyed many records immediately following their surrender in August, 1945, and thirdly the British destroyed much of what was left after the War Damage Commission was through with the records in 1953.Alas, such is often the dilemma facing historians.Nonetheless, the author has performed excellent work is reconstructing the period from what was left.Much of the information was obtained through published memoirs and interviews. I found this work to be more interesting than I had expected in that it gave me an appreciation of the occupation as seen by the Malayans.There are many maps, tables, and technical discussions, and an initial light read (or scan) is probably appropriate to decide on what to study.As such this book is a useful resource,There was evidence of a moral decline during the occupation in which making money (for survival) was paramount, and often loyalty did not extend before the family or community.The history of the occupation became "taught" (and modified) after the occupation for various reasons until the population's remembrance of the occupation became conflicted and confused.This work attempts to sort all that out. History as a captivating story!